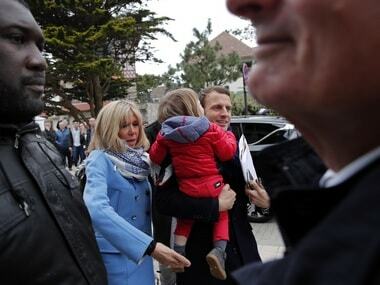 Karine Colman stepped out of queue briefly to chase her young son, then retrieved him and returned to her place in the line behind 10 other voters. 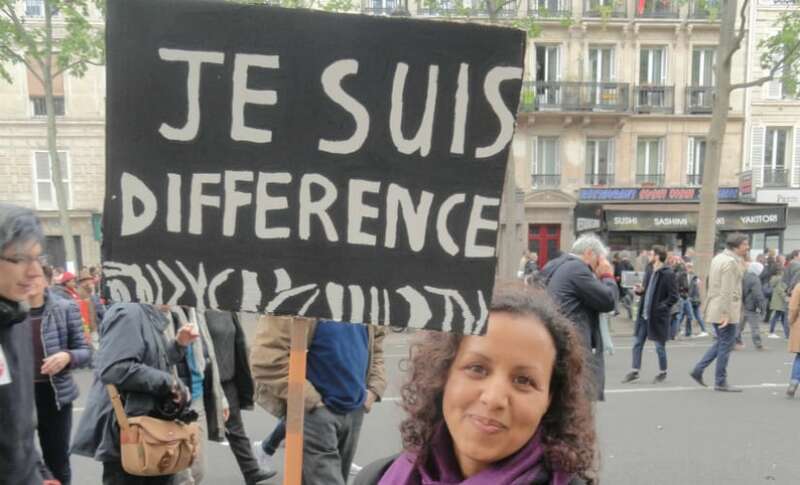 At 10.30am, the polling venue at the town hall in the 14th arrondissement of Paris was already seeing a steady stream of voters. This Sunday France votes for its president; and the choice lies between the independent centrist Emmanuel Macron and the far-right leader Marine Le Pen. 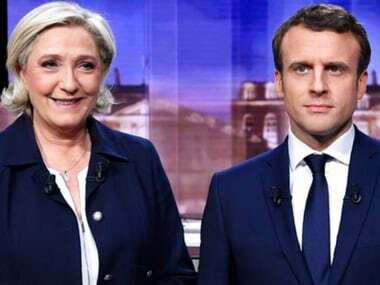 #NewsTracker #ConnectTheDots #European Union #EU #Marine Le Pen #national-front #Emmanuel Macron #French Presidential election 2017 #En March! 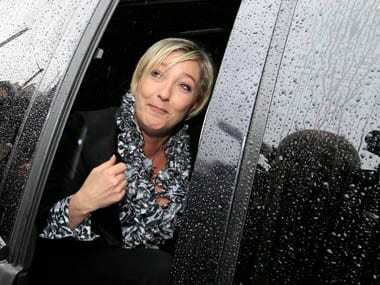 Marine Le Pen, the leader of the far-right National Front, does not look upon France's relationship with the European Union (EU) charitably. Frankfurt/Paris: A large trove of emails from the campaign of French presidential candidate Emmanuel Macron was posted online late on Friday, around a day before before voters go to the polls to choose the country's next president in a run-off against far-right rival Marine Le Pen. Though Macron is expected to win, both the unexpected Brexit and Trump victories means nothing is ever certain, and Mélenchon’s less than full-throated support for Macron threatens to divide his supporters on voting day. Marine Le Pen's bid to defy the odds and win the French presidency risked a setback on Friday when the man named interim head of her National Front party stood down to defend himself against charges that he shares the views of Holocaust deniers. 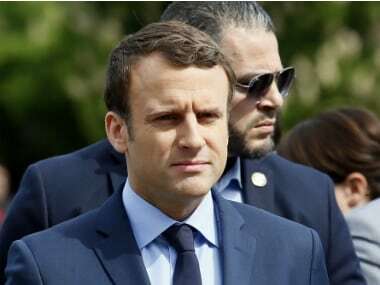 French presidential hopeful Emmanuel Macron was on Wednesday heckled by factory workers in Amiens city after a visit by his far-right rival Marine Le Pen. 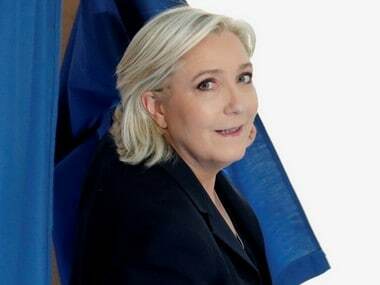 Paris: French presidential front-runner representing the far-right National Front (FN) Marine Le Pen said that she would step down as the party's leader to focus on gathering large number of voters ahead of the decisive round in May. If Emmanuel Macron beats Marine Le Pen, which is most likely, the EU will receive a strong fillip and it will be a big boost for liberal democracy. 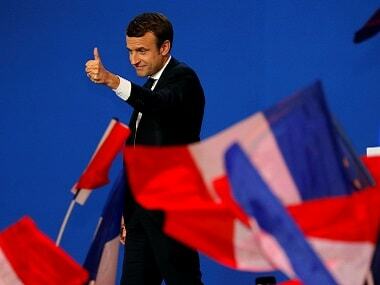 Pro-European Emmanuel Macron is set to face far-right candidate Marine Le Pen in France's presidential run-off, results showed on Sunday, making him clear favourite to emerge as the country's youngest leader in its history. Turnout in the French presidential election was on track to be around 80 percent, polling groups estimated on Sunday.